PLEASE, BROWSE AND DREAM FOR AS LONG AS YOU LIKE. WE’RE THE LOG HOME COMPANY THAT TURNS DREAMS INTO DREAM HOMES, NO MATTER WHERE HOME IS. 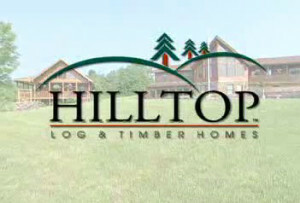 Welcome to Hilltop Log & Timber Homes. 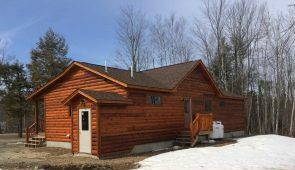 Located in beautiful Central Maine, we are the Premier Log and Timber Home Company that is best known for the high quality of our products. Whether you live here in Maine, or anywhere from coast to coast, our mission is clear; to furnish you with the most complete top quality package in the industry. When we agree to a cost on a home, that is what you pay unless you sign a change order. No surprises. We are committed that you be delighted with both the outcome and with the process. Proudly carrying the distinction of being “Made In Maine”, we will supply you with an authentic Log Home from Maine while turning your dreams into your dream home. A high quality, custom design Log & Timber Home company we promise to give you the same superior service whether your dream is of a small cabin, or a family home. Our Commitment is to produce a package with the highest level of quality and craftsmanship. We take pride in our responsiveness to our client’s needs and will strive to exceed your expectations. With long established supplier partnerships and bulk pricing, Hilltop passes its savings on to you with the best cost to value in the industry. Post and Beam or Log, Hilltop can even offer a hybrid of the two. Hilltop Log and Timber Homes uses energy efficient, green products and construction techniques. We specialize in Cedar homes and also offer White Pine and Douglas Fir. No matter if you are seeking a retirement home, a vacation home or a first home, or if you need one small cabin or many of them for a resort development, Hilltop Log and Timber Homes is your best choice to partner with in making your dreams come true.